Is the shopping on Cruises Duty Free prices or more costly than normal? The age old shopping question asking “are cruises duty free prices?”, or bringing Duty Free liquor on board with you, goes round and round on many travel forums. It is a complicated debate, because much depends on the cruise line, where you are travelling to and where you came from. Is shopping on Cruises at the best Duty Free prices? Check before you sail! But, if you are a drinker, the only real tax free whisky, gin or vodka you will consume will be from the bottle you take home with you, because most major operators restrict your use on cruises of duty free alcohol whilst you are on board. At best, you might be allowed a tipple in your cabin. Smoking and the purchase of duty free cigarettes is another issue too. 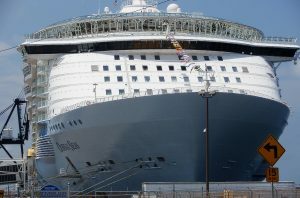 There was a recent media report of a person being discharged from the ship because they threw their unfinished smoke overboard. Cruising is a healthy business these days, no smoking, expensive drinking, so plan your shopping in advance with our global store and information guide. This will tell you many of the rules associated to your specific cruise line and the relevant exemptions and limits when you return home. The best advice we can give is to buy your liquor in the airport if you are flying home internationally. If you are on a domestic flight, you are going to need to pack it in your checked baggage, because you cannot carry it on the aircraft unless it is in an official sealed STEB security bag. The store on board ship may give you one of these bags, but you won’t get one if you buy in the port store. In Europe, most cruises are around the Med, but ships often stop in a non-EU country, like Turkey or Norway, because this then qualifies them to sell goods at real Duty Free prices. (They cannot sell duty free goods if they only visit EU Countries). Booze in Southern Europe is usually much cheaper than in Northern Europe, so buying downtown is just as economic. Other products on board? Well, almost all other goods, such as watches, jewellery, cosmetics, perfumes, gifts or electronics only attract local sales taxes, so the likely discount is quite limited. Anyway, many people like to go ashore and browse the shops and most major cruise stops have Duty Free Port Stores too and our destination directory will give you more information about the stores, allowances and any other restrictions. If you are boarding or return to a Port in Texas, beware! Ports in this area now have Customs controls, especially for liquors and tobaccos and even if you bought them Duty Free, the local tax still has to be paid on your goods. It’s an odd coincidence that Texas is an anagram for Taxes! This is not exactly a glowing report about the bargains to be found on board ship, but our mission is to highlight the reality for travelers and alert them to some of the pitfalls. Not to gloss over the reality to promote one store or another. Perhaps the best tip we can give you is look out for the stopovers at those “Special Territories” or Duty Free Zones, these are places like Gibraltar, Macau, Colon, Jersey, The Canary Islands, Aruba or Hong Kong. Then, it is almost certain that the best bargains are to be found on dry land*. To check all other destinations before you sail, Duty Free on arrival has a global shopping guide for you. 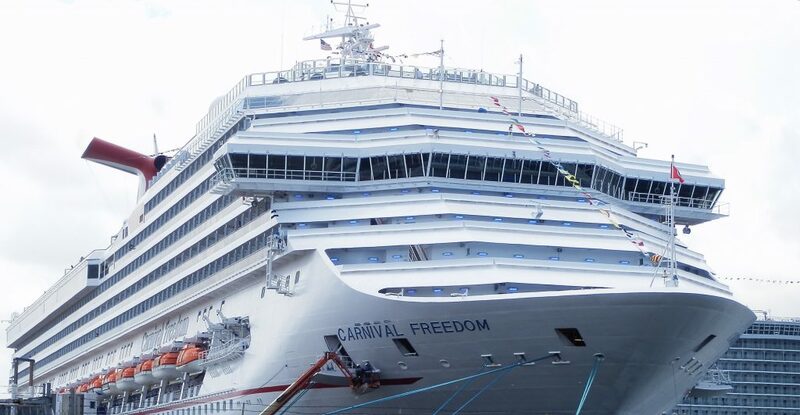 * There is no suggestions that the Cruise or Ferry Operators featured with our graphics on this page are in any way offering inferior prices or product mixes to their passengers, compared to other Duty Free stores around the world. Nor that they impose any specific restrictions on Liquors or Tobaccos. The only way for consumers to find out is to compare in advance or check the prices on board before they disembark. Author Arrivals Duty FreePosted on 6th September 2016 21st September 2017 Categories Ferries & CruisesTags cruises duty free, cruising, duty free prices cruise, port storesLeave a comment on Is the shopping on Cruises Duty Free prices or more costly than normal?